In the excitement of getting your first chickens it’s easy to overlook this point, but somebody will have to look after them whenever you are away from home. When you go away on holiday, you will need peace of mind that your chickens are being well looked after. into their house at night. They must also have fresh food and water. An automatic door opener/closer is helpful, but chickens should still be checked at least once a day to make sure that all is well. They can get ill very quickly and a sick hen is likely to be attacked by the others, so regular inspections are essential. 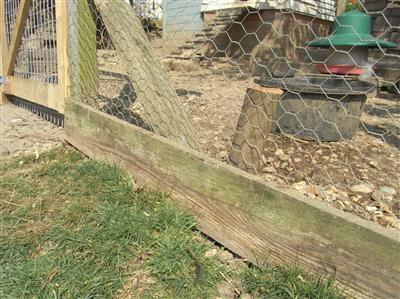 However, even the most committed chicken keepers usually manage to escape occasionally – it’s just a matter of planning. Try to have your plan in place before the chickens actually arrive, to avoid being caught out when that unexpected invitation to a weekend away crops up. The best bet is to find somebody local who is prepared to look after your flock in exchange for some eggs. Or there may be other chicken keepers living nearby and you can help each other out. It’s worth asking around. Failing this, you will probably have to pay someone. A local youngster or pensioner might be interested in earning some extra cash, or you could look for a professional pet-sitter. Check out the notice boards in your feed store and vet’s waiting room, or try an on-line search. A pet-sitter will probably charge per visit, so if you are away a lot an automatic pop-hole door could save money in the long run. There are also pet-sitters who can move into your house if you wish, and take care of everything. 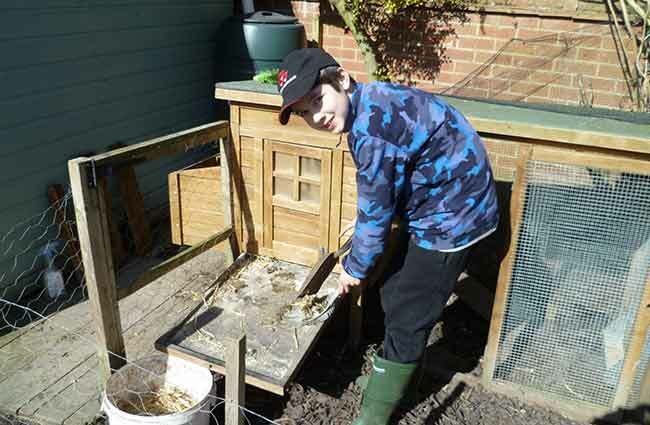 A local youngster might be interested in looking after your chickens while you are away. Whoever you choose, make sure they know how to look after chickens and are happy to do all that is required. Always check references carefully. 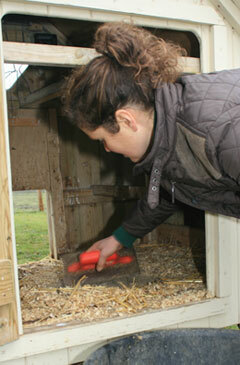 Chickens don’t like change, so try to keep them in their own environment and routine if at all possible. Maybe none of the above options are workable, in which case you might have to consider relocating your chickens when you go away. If you have friends or family who are happy to help but live too far to come in every day, you might be able to take everything over to their house. Just make sure they understand how to care for chickens, or if they already have some, remember that the two groups must be kept separately. Check too what chicken predators they might have locally – including family dogs. There are many establishments now offering chicken boarding. 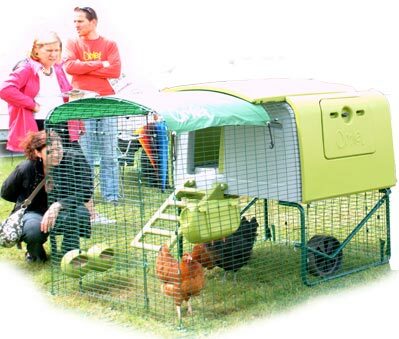 Although some places might require you to bring your own housing, usually a house and run is provided for each flock of chickens. Confirm that this is always moved to fresh ground, and thoroughly disinfected between every change of occupants. Check too that there is electric poultry fencing around the site. Have a good look at the place before letting them look after your precious hens – make sure that everything is well-maintained with happy, healthy residents. Provide feed yourself or make sure your chickens will be fed their familiar brand, as changes in diet can lead to digestive upsets. Although I’ve never tried chicken boarding, some places do look very professional, even offering extra services such as nail trimming and wing clipping! If you do have to move your chickens, it’s a good idea to add apple cider vinegar to their drinking water for a few days afterwards. It will help their systems cope with any stress caused by the change. 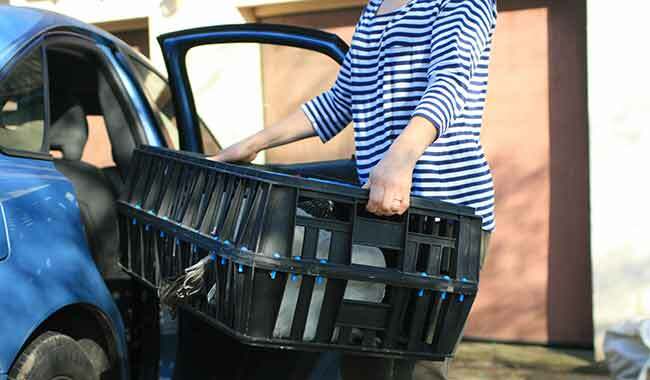 Chickens should be transported in boxes or crates with good ventilation to avoid overheating. You can also keep stress levels to a minimum by avoiding overheating during their journey. Hot, overcrowded conditions will cause suffering or even fatalities, so make sure travelling boxes are spacious and airy. Put them on the back seat rather than in the boot, so that you can keep an eye on the temperature, and in warm weather try to travel either first thing or at night. As with dogs – never leave chickens in a parked car! 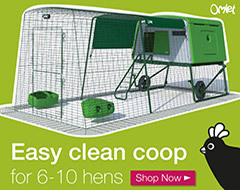 When you’ve found someone reliable to look after your chickens, do all you can to make it as easy as possible! Leave plenty of feed and bedding plus cleaning out equipment. Check everything is in good repair and working properly: house, run, feeder drinker, electric fencing, automatic doors (put in new batteries before you go). Write down a list of instructions, including a contact phone number and details of your vet. 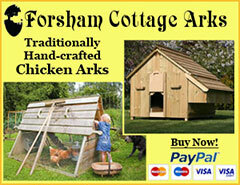 A copy of your chicken reference book and details of poultry websites / forums may also be helpful. Yes, you really can have it all – happy chickens and happy holidays! Hi, I had this problem when i booked our holiday this year, my neighbour was away too at the same time, i didn’t really want to inconvenience others, i used the services of http://www.newlandpoultry.com in Worcestershire, offering holiday homes for chickens, VERY well kept and looked after chickens, expertly checked and seperated from others chickens on arrival, totally comfortable place for chickens i do really recommend it if you live anywhere near the midlands. 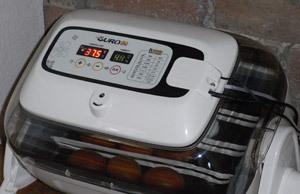 I don’t have experience of Newland Poultry however they sound good and it is useful to know. Recently, DEFRA’s General Licence for bird gatherings has made it more difficult for people to look after chickens for other people. The General License they must obtain includes record keeping, some strict biosecurity measures and having a written action plan for use in the event of a disease outbreak and a named responsible person for this who can perform health checks. Whilst this license mainly applies to show or auction organisers, it would apply to you if you were to look after a friends chickens at your premises whilst they were on holiday. I was advised that non-compliance risks up to 3 months in prison and / or a £5000 fine which put me off! Since the AI outbreak a few years ago, DEFRA are far more active and I have heard of one chap in Essex who narrowly escaped a fine when he was organising an auction via one of the poultry forums last year. Would it be OK to leave the chickens in a secure coop with attached run for 3 nights/days, with plenty of water and feed? (ie the occasional long w/e when the neighbour can’t help). Also, are you aware of whether restrictive covenants can be lifted? Love your website – it’s really fired me up. It is not ideal. When I go away, I do this but a neighbour does pop in morning and evening and checks everything is in order and the hens are fit and healthy. If you do this, I would make sure water is spread between a few containers in case one leaks. Sorry, I don’t know much about covernants. Are automatic poultry doors expensive? What if I was away on vacation and my neighbor came and checked on the chickens and then left before the door shut, what if the door was to close before all of the chickens got in? Could that happpen!? And, how do automatic chicken doors work? Do they need batteries? Automatic poultry doors usually have a light sensor that is adjusted to close at dark just after the birds have gone to roost at dusk. This means the birds should always make it in as they roost before dark. They cost around £130 in the UK for the basic model. Hard to say really without seeing it. I would guess at 6 -8 large fowl. It depends on the size of the hen. They need enough roosting space but a little spare for hens at the bottom of the pecking order. They will soon get bored in a small run – I would consider letting them out to free range from time to time. You really need someone to check on them every day or at least every other. They will need fresh water and eggs left are likely to get broken and then they will start egg eating which is a difficult vice to cure. I would try to find someone else with chickens in your local area and try to set up an exchange of looking after one anothers birds. The odd night is possible but a 2 week holiday would certainly not work. Ask a neighbour or friend to call on them in return for eggs? Just like having a dog or any other pet, you will need to make arrangements. Without a door opener / closer, you will need someone to let them out and close them at night. With an automatic door, you can get away with once a day to change water and check food / health of the birds. They should be checked daily for problems. 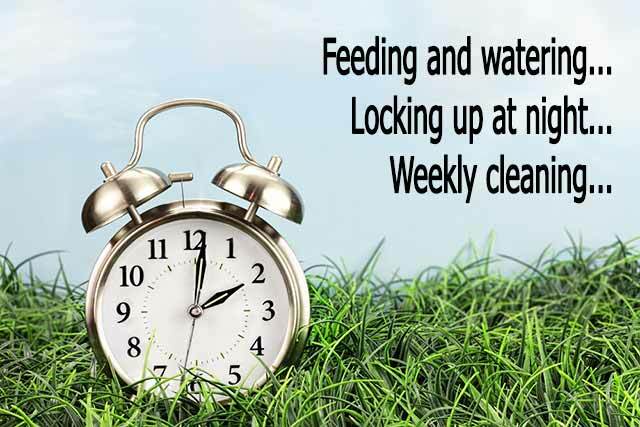 You can get feeders and drinkers to allow the odd day away and automatic door closers that can open / shut the pophole but if this were to fail or their water were to leak out, you still need to have a quick check daily. 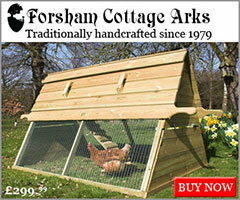 Look at Hybrid chickens if you want vigour and laying abilities. I see that you can build large fully caged areas in which a coop would sit. In this case, with plenty of room, feed and water, could you see birds being left for 2 or 3 days? Yes they should be checked on – but so too hill sheep! The feeding and dietary needs sound expensive, can you let me know approximately what the weekly cost would be. Ummm, I haven’t worked it out but if you said a 20Kg sack of pellets cost £9 and each (large fowl) hen eats 200g of feed per day you could keep 3 hens for a month for £9. Of course the more they free range, the less they eat. Greens can be garden weeds and grass. I would allow a few pounds each month for other bits and bobs too but I’d guess £12 per month for 3 hens would be reasonable. We have 1 chicken that has just started laying, 3 that are pol and we have just got 3 much younger birds. They share a shed and enclosure. I want to start feeding layers pellets but will it be ok for the younger birds to eat these too? You should feed growers pellets up until POL / around 18 weeks old or the youngsters won’t be getting the right amount of protein for growth and will have too much calcium.